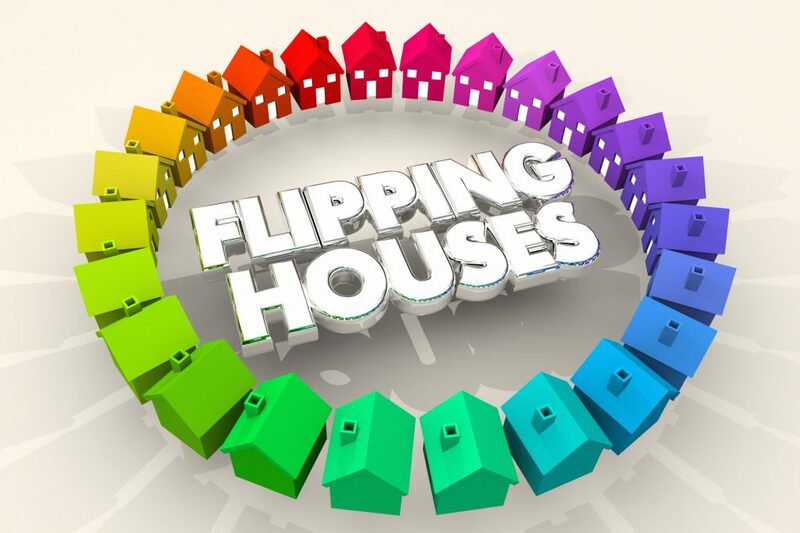 Flip or Flop: Can You Still Flip Houses for Profits in 2019? You’ve seen the house flipping shows where they gut renovate the house, change the floor plan, and design high-end finishes. The A to Z process takes 42 minutes on your TV screen. At the end of the show, they make a huge profit. Everyone is happy. It seems easy. Like anyone can do it. House flipping is more complicated in real life than the package you see on HGTV. But there’s a reason house flipping gained fame a few years after the 2008 housing crisis. There were opportunities for big profits. The housing crash led to depressed housing prices and foreclosures. As the economy recovered, house flippers bought houses for cheap and made quick profits. Is this still the case? Can you flip houses successfully in 2019? Can You Flip Houses Successfully in 2019? Yes, you can still flip houses for a profit in 2019. But you’ll have to be smarter about it. The margins are tighter now. Five percent of all single-family homes and condo sales during the quarter were house flips. That’s the lowest mark since Q3 2016. The average flipping profit for the quarter was $63,000. The average gross flipping return on investment was 42.6 percent. That’s the lowest average ROI since Q1 2012. Thefewerre less flips than there were a few years ago. The profits on those flips are lower. And the profits fluctuate widely by market. For instance, the average flipping ROI in Pennsylvania, Ohio, Kentucky, and Louisiana were all above 80 percent for Q3 2018. Before you get excited about these profit margins, note that they don’t include renovation costs. They simply reflect the difference between purchase price and resale price. The renovation expenses cut into the profits shown above. There are many obstacles that can lead to a house flipping disaster. That’s why you can’t afford to leave success up to chance. Manage the risks. Create an effective plan and stick to it. Build a network of professionals who will help you succeed. Work with trusted contractors, accountants, attorneys, and real estate agents. 1. Can You Handle the Risk? Flipping houses is not for the faint or heart. Things never go as planned. Every unexpected issue eats up some of your profit. Will you be able to sleep at night if the renovations take longer than expected? What if the market turns right before you list the property? What if the renovation costs more than expected? It’s true that there’s no reward without risk. But you need to know how you will handle failures and complications before you start flipping houses. Some people can’t stomach the risk. Can you? House flipping looks easy on TV. The reality is that each flip takes months of work. That’s without counting the research and planning phases. Another reality is that the house flippers you see on TV have years of real estate and renovation experience. They’ve been there before. If you’re flipping your first house, that’s not you. Keep the flip simple. Set yourself up for long-term house flipping success. Build up your skills and experience over time. Build momentum with early successes. Because you may not get another chance if you don’t succeed at your first flip. Need a few more reasons to keep it simple? Time is money when you’re flipping a house. The longer the flip takes, the higher the interest costs. Time also exposes you to market risk. The longer you hold the house before selling it, the higher the chances of the market turning downwards. Even if the market doesn’t turn against you, a complicated remodel adds significant risk to house flipping. It’s a simple law of nature — the more complicated the process, the more things that can go wrong. For instance, after opening up the walls, you may find problems that you couldn’t see when you inspected the home. Every thing that goes wrong during the remodel adds to the renovation costs. House flipping is a numbers game. Before you buy a house, perform a detailed analysis to make sure the numbers add up to a healthy expected profit. Give yourself the best odds for success. Get the house for a lower price by negotiating fiercely. Reduce carrying costs by securing the loan at a lower interest rate. Lowering these costs gives you more cushion for the unexpected complications that are unavoidable during the renovation. Keep your eye on costs throughout the project. Be disciplined with your budget. Resist the temptation to increase the scope of work. Only do work that adds value to the house. Stay on schedule to minimize the interest costs. Flipping houses is an expensive endeavor. You need capital to buy the house and fix it up. If you don’t have the necessary cash on hand, you’ll need some help to come up with it. There are various routes you can take to get cash for down payment, parts, and labor. If you’re getting started in the house flipping business, you probably won’t be able to get a loan or line of credit from traditional banks. You’re going to have to be more creative. Each of these alternatives carries different risks. Make sure you understand what you’re getting yourself into before you sign the dotted line. Consult with a financial professional who can help you understand the pros and cons of your options. For example, here are some benefits and drawbacks of using a hard money lender. These loans comes with the downside of higher interest rates and shorter loan terms. They also bring advantages like faster approval process, lower credit qualifications, and smaller down payment requirements. If you’re flipping houses today, profits won’t be as big as they were in 2012. But you can still make money flipping houses. Do your homework. Understand the market conditions. Learn all the ins and outs of the flipping process. Hope for the best but plan for complications. Then, flip houses for profit. Want tips on remodeling and renovating houses? Check out the Home section of our blog.